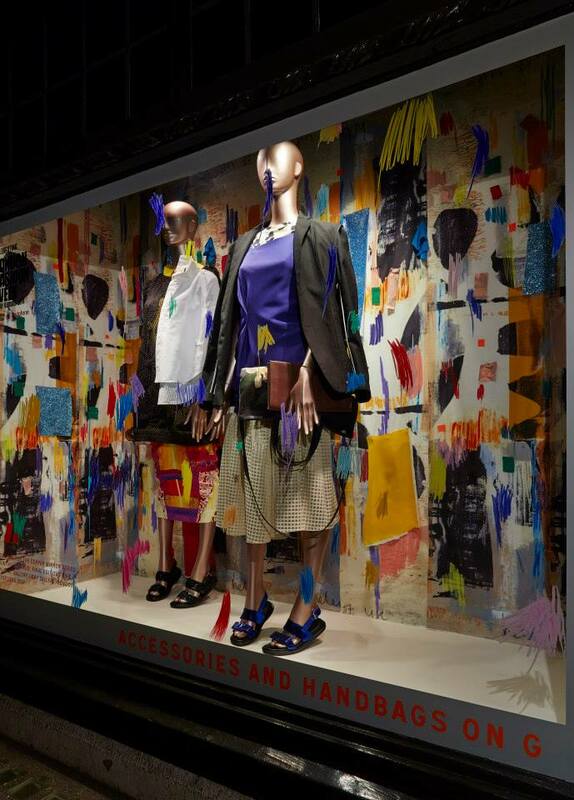 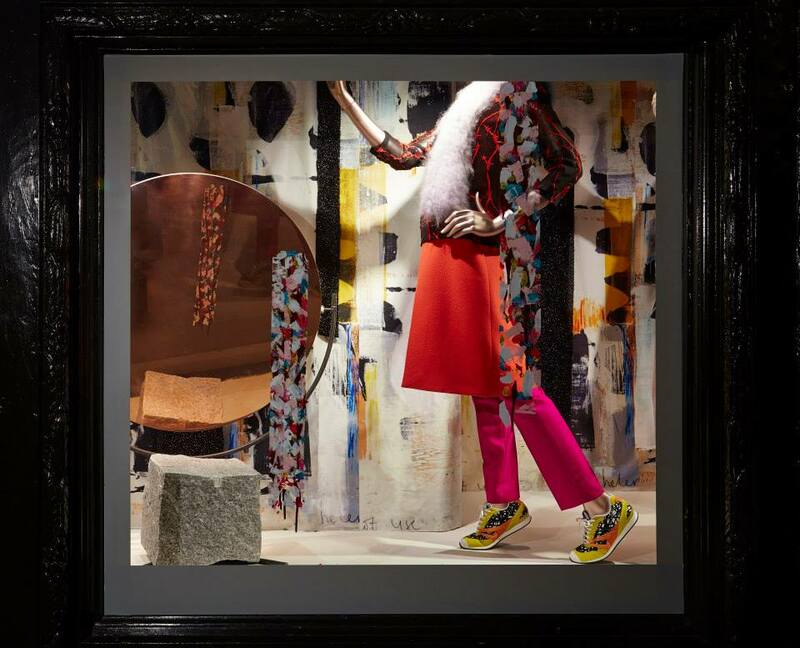 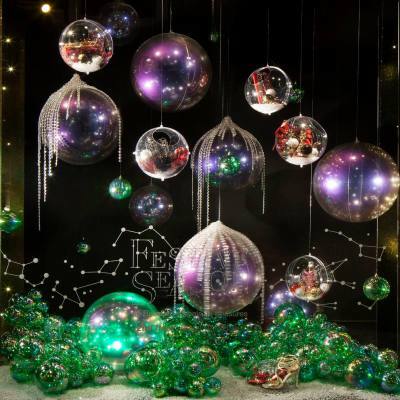 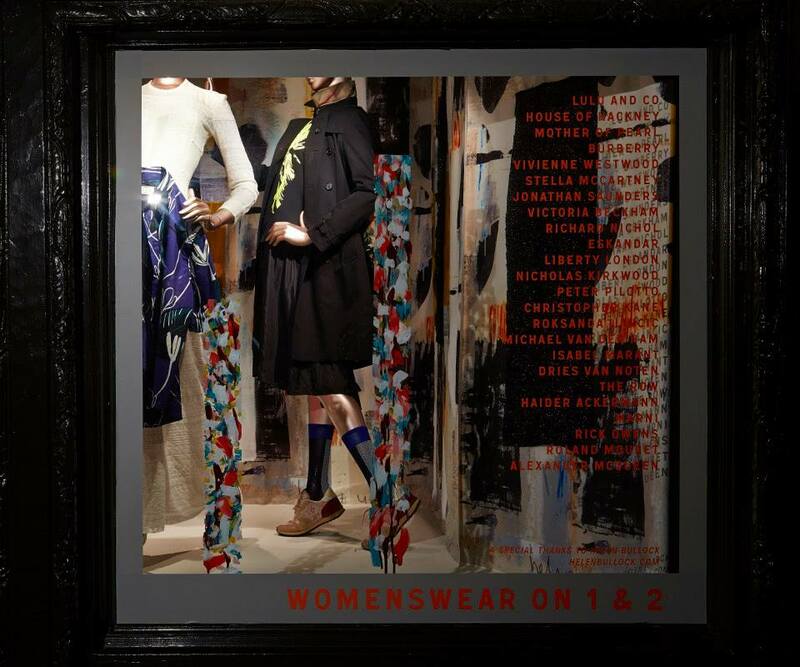 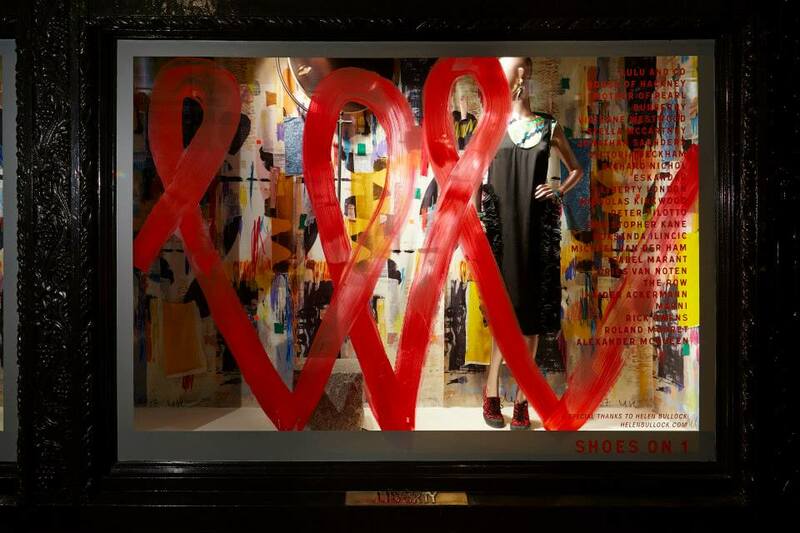 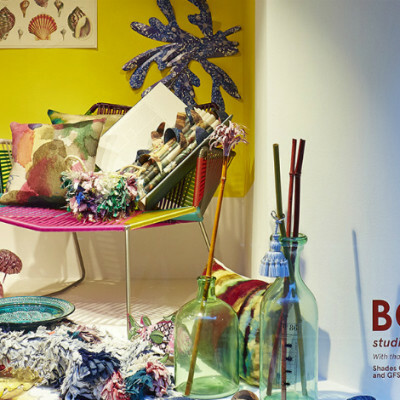 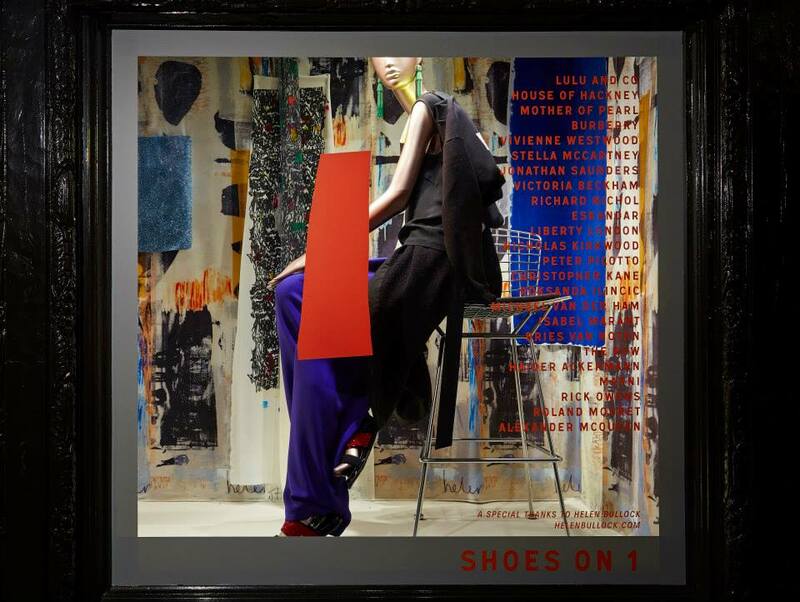 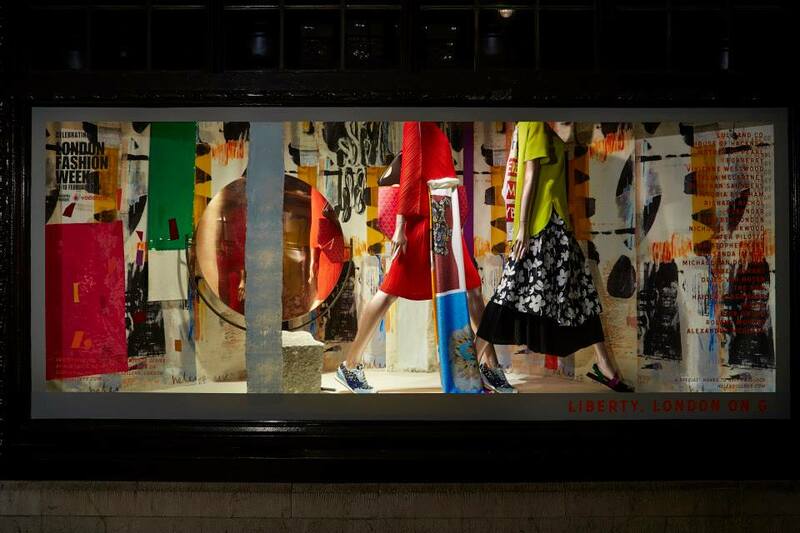 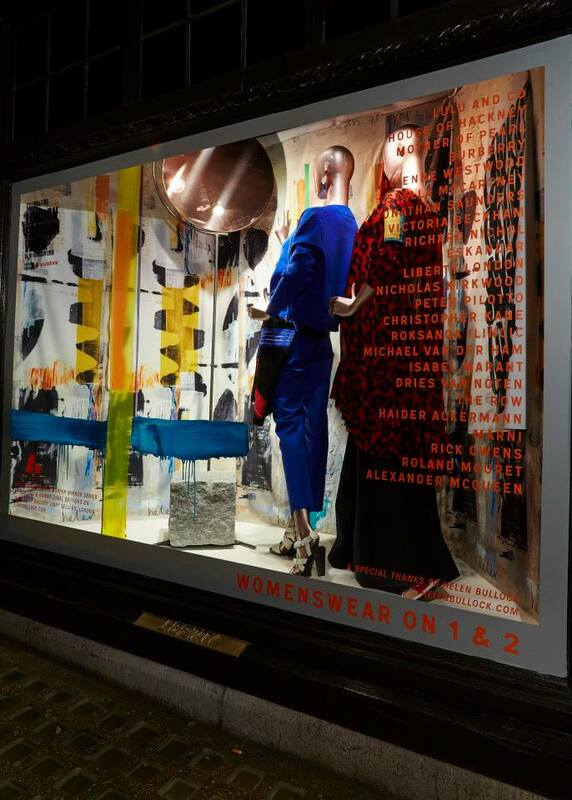 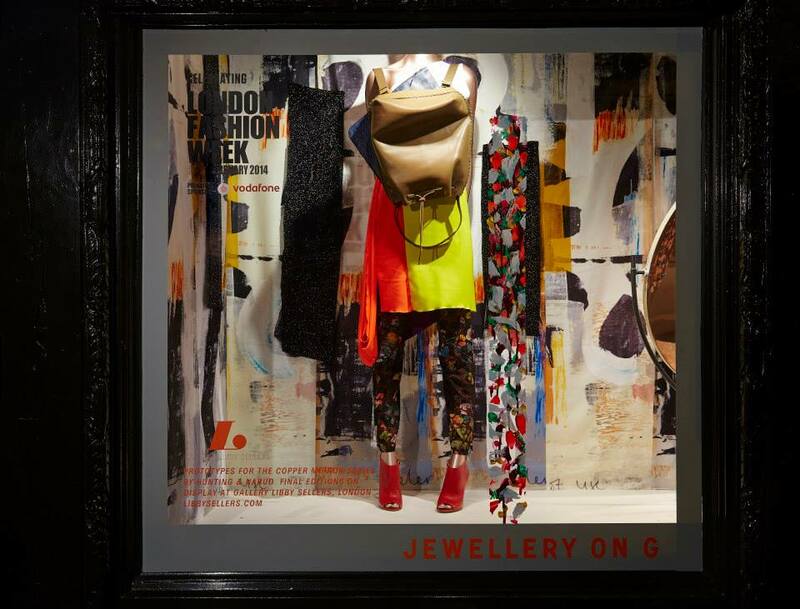 The visual team of Liberty London collaborated with print designer, fashion illustrator and textile artist Helen Bullock creating the London Fashion Week AW14 window displays using crayon, painted fabric and vinyl. 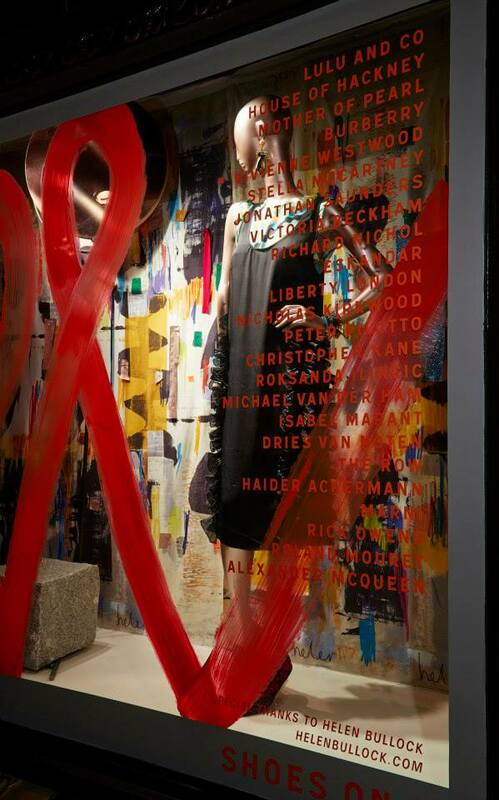 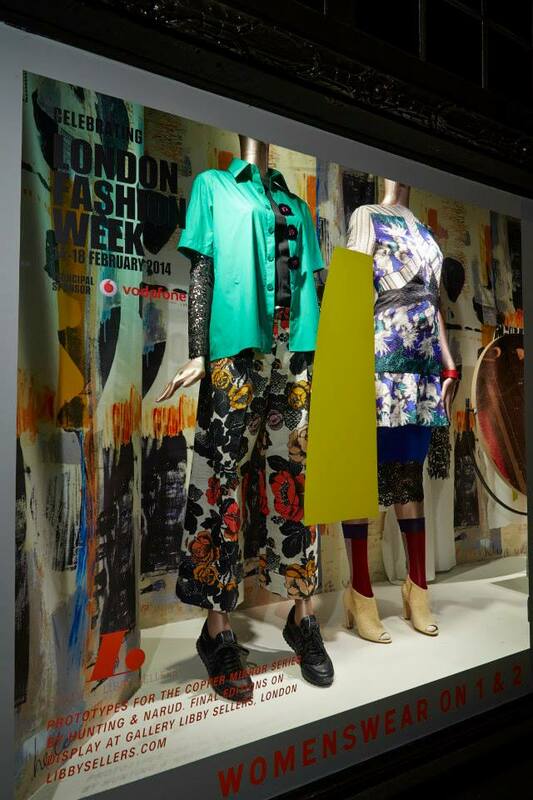 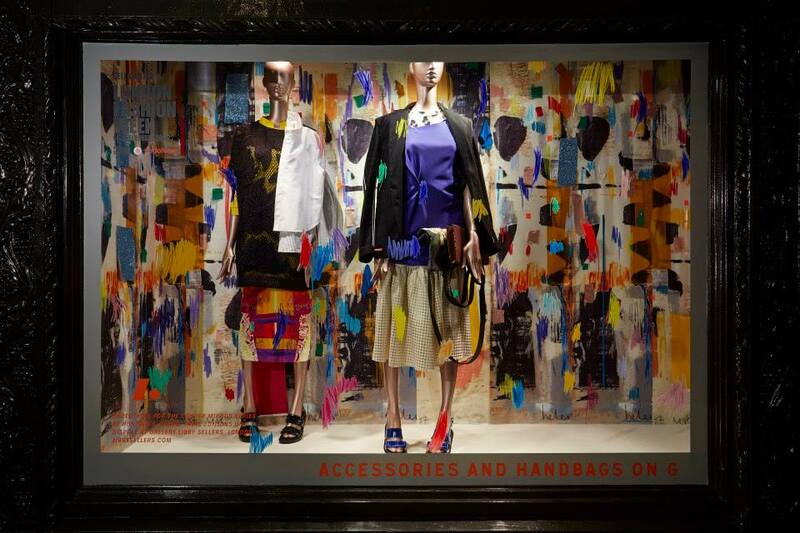 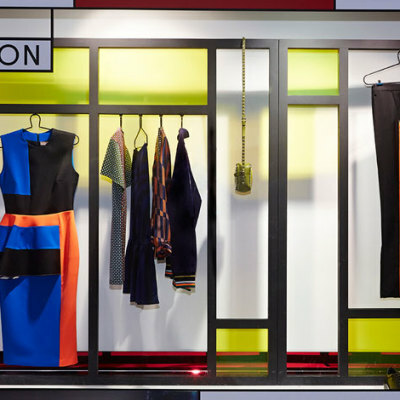 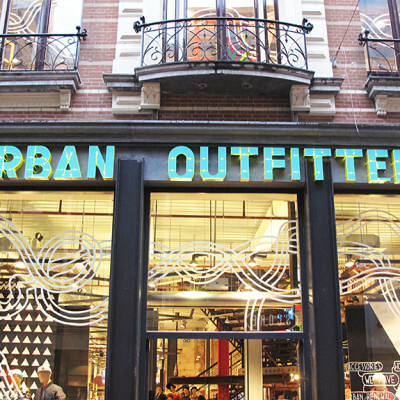 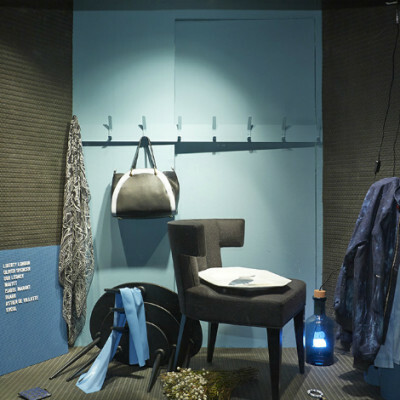 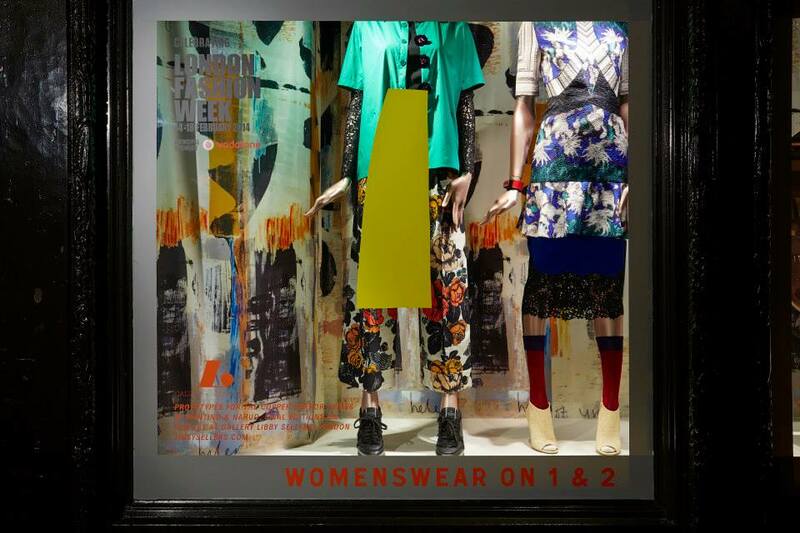 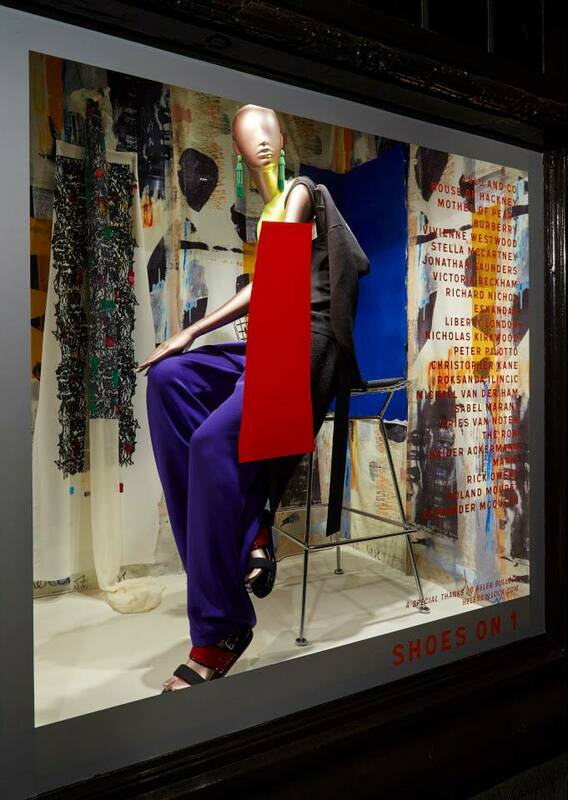 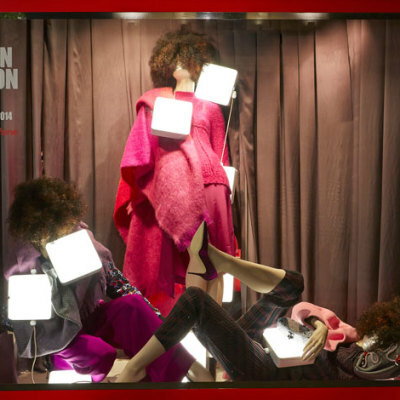 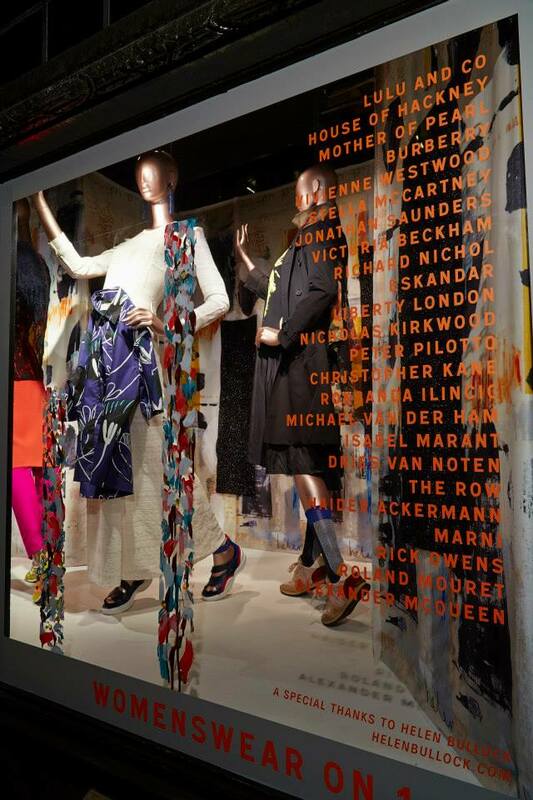 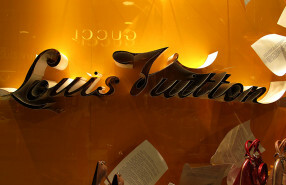 The windows are full off bright colours, graphic prints and bold outfits featuring London designers. 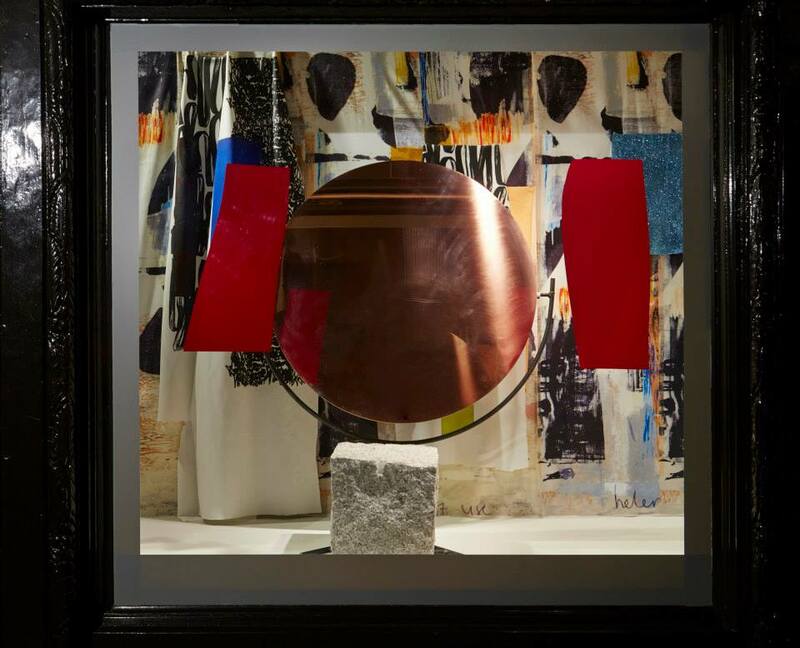 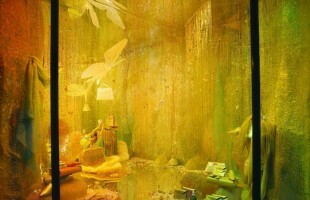 The copper mirrors are created by artists Hunting and Narud.